Fyora has devised another set of excruciatingly hard puzzles for you to solve. Step aside Garon the Lupe, this time Quaglor the Intrepid has taken on the challenge. To complete a level you must find the Purple Key, it will unlock the door to the next level. Each level is a different colour, this corresponds to a different faerie-type. The Air level will have balloons, where the Fire level has volcanic boulders. More instructions can be found in-game. Good Luck! Can you survive a hectic day as a cashier? 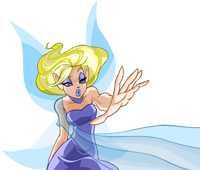 You are about to send feedback on Faerie Caves II - Fyora's Quest. We would appreciate it if you could give the game a rating out of 10, and also tell us any additional comments you may have. Thank you for your feedback on Faerie Caves II - Fyora's Quest.